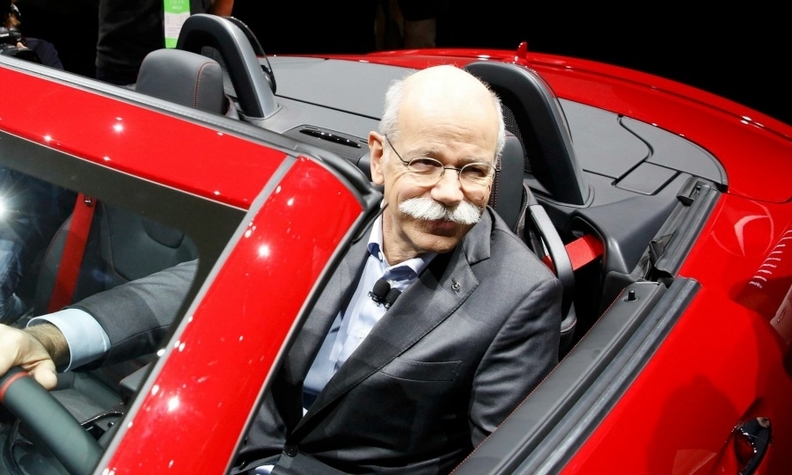 Daimler CEO Dieter Zetsche pictured at the Detroit auto show. He said market turmoil in China is not hitting Mercedes sales. DETROIT (Reuters) -- Daimler CEO Dieter Zetsche says recent market turbulence in China has not impacted demand for Mercedes-Benz luxury cars. "November was a strong month. December it looks like a growth month as well. We don't see any negative impact in our showroom, just the opposite," Zetsche told reporters at the Detroit auto show. "We have very strong momentum. We are cautiously optimistic that momentum that we have built in the past years will continue," Zetsche said about China demand. Mercedes brand sales in China jumped 33 percent last year as the automaker benefited from a restructuring of its Chinese operations. By comparison, rival BMW’s core brand deliveries in China gained only 1.7 percent, while Audi’s volume fell 1.4 percent in the world’s biggest market. Zetsche declined to give a precise forecast for China growth. Daimler sees the U.S. market growing by a single-digit percentage amount. Growth in Europe could be higher than single digits, Zetsche said. Separately, Zetsche said Mercedes was working on a platform for electric cars and that the brand would have a product offering that is competitive to keep up with rivals by the end of the decade. Zetsche also welcomed the prospect of Chinese joint venture partner BAIC taking a stake in Daimler. "They are highly welcome to become shareholders. The main prerequisite is that there will be no dilution to other shareholders," Zetsche said.